In Yellowstone Park, legends speak of a spirit bear referred to as ‘the Yogi,’ which few if any have actually encountered. 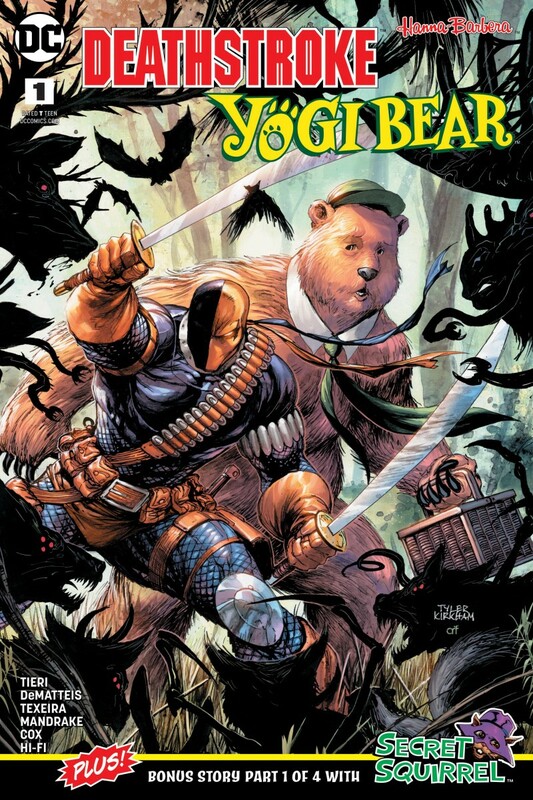 Real or not, when a bear seems to have graduated from stealing picnic baskets to kidnapping actual campers, Ranger Smith decides it’s time to stop this menace-so he calls on the services of Slade Wilson-a.k.a. Deathstroke-to get the job done. Plus, part one of a Secret Squirrel backup story written by J.M. DeMatteis.